Mister Rogers arrives with three kinds of horns -- a car horn, a bicycle horn, and a trumpet. Taking them to the kitchen, he plays a listening game by askng viewers to close their eyes and guess which horn is making a sound. He remembers a time he felt and heard many things while walking on a windy beach. At Negri's Music Shop, Mister Rogers returns the trumpet and visits with trumpeter Benny Benack who demonstrates his musical talents. Mr. Negri shows Mister Rogers a machine made of wood and canvas that mimicks the sound of the wind. In the Neighborhood of Make-Believe, Handyman Negri and Edgar Cooke are growing more concerned with the fact that King Friday has asked them to be the pilots of his new plane. The plane is delivered to the castle by Pilot Ito of IAMCO Inc. King Friday recognizes that Handyman Negri and Edgar Cooke are not properly trained to fly the plane and he decides to hire Pilot Ito as his personal pilot. Back at the house, Mister Rogers talks about how real pilots required a great amount of studying and practice in order to fly a plane. He concludes by singing You've Got To Do It. A similar film about the windy beach is also seen in Episode 1256. 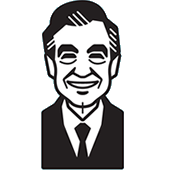 Everybody Has a History plays as Mister Rogers returns to his house from Negri's Music Shop. Handyman Negri and Edgar Cooke are attempting to learn to fly by reading a manual called "You and Your Airplane." © 1973, 1974 Family Communications, Inc.